When stories first surfaced about the BlackBerry Niagara, it was thought that this device might be the first 'Berry to run on version 5 of the BlackBerry OS. If you count leaked software, two current models already have OS 5.0.0.90 available for them. 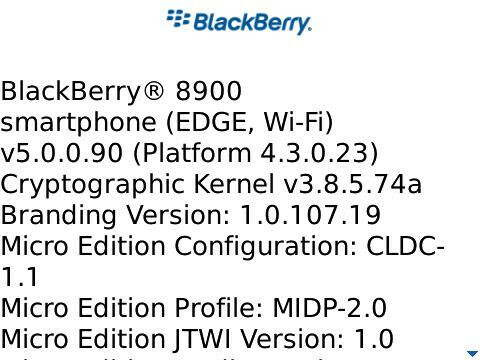 The BlackBerry Curve 8900 and the Bold 9000 each are the recipients of the leaked OS. Those who have downloaded the Bold version are reporting that the device is speedier with faster picture scrolling. The browser has an option to select Google Gears and the unit now offers a podcast folder. Some are claiming that certain apps like Facebook have stopped working after the download. Those with the Curve 8900 say that the new OS fixes a problem with word wrap, speeds up the browser, which also has a new look, and makes the device zippier overall. Because both firmware upgrades are not officially released, we caution you about downloading it on your BlackBerry as bad things can happen to good phones and good phone owners such as the possibility of bricking the unit or losing the warranty. Owners of both handsets complained that news feed reader Viigo failed to work after the OS was put on their phone. If you do take the risk and download BlackBerry OS 5.0.0.90 on your phone, let us know what changes you see in your 'Berry, either good or bad. 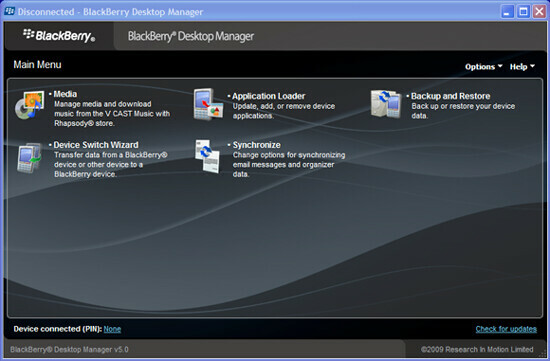 At the same time as these OS versions were leaked, an unofficial version of BlackBerry Desktop Manager 5.0. has appeared. The same cautions we gave you about downloading the leaked firmware apply to this as well. i am not given option to allow delivery confirmation once i have downloaded the software 5.0. is this normal?